Okay not exactly, but close enough. 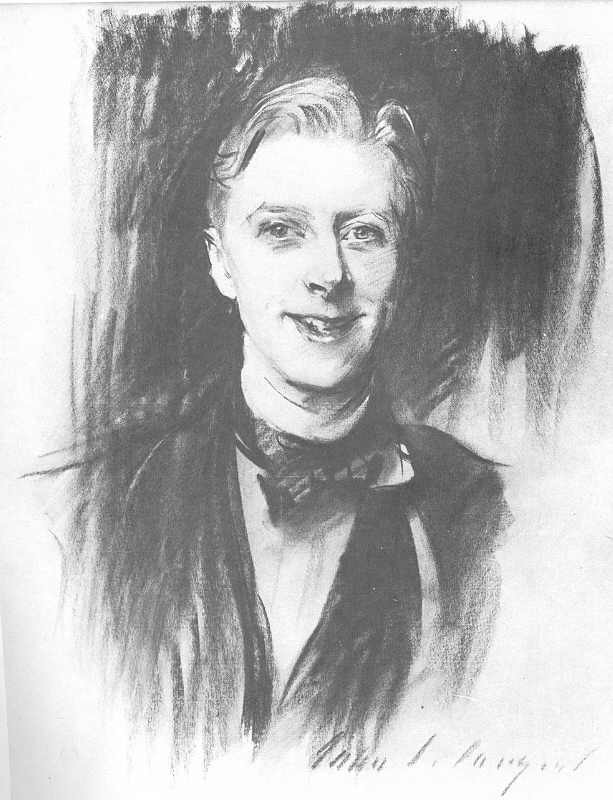 Robert Leininger posted this drawing over on his fantastic blog Classic Movie Monsters of Ernest Thesiger (Dr. Pretorius from James Whale's Bride of Frankenstein) by John Singer Sargent circa 1911. So basically this is a drawing by one of my favorite artists of a lead player from one of my favorite films. According to Wikipedia "Thesiger moved in several artistic, literary and theatrical circles. 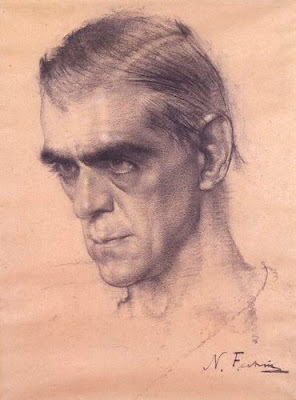 At various times, he frequented the studio of John Singer Sargent..."
In doing research for this piece I found something even more extraordinary, a drawing of Boris Karloff by Nicolai Fechin circa mid 1930's. So now we are talking about a drawing by my favorite portrait artist of the star of one of my favorite movies. Mr. Karloff's wife Evelyn evidently donated this to the British National Portrait Gallery where it currently resides. I can't believe you just now saw the Fechin! Have you seen this ~ ELSA. I once toed the line, re: Bride being superior to the 1st, but since my last viewing of them I realized that I had been snookered. अर्जुन-Neither can I. As far as which is better, it is very close, but I still toe the line I am afraid. Brian-No problem, hopefully I can find more little gems.